On 5th May 2015 the presentation of the ASSESSMENT OF EARLY PRESIDENTIAL ELECTIONS IN KAZAKHSTAN ON 26 APRIL 2015 was held in a public ceremony. The assessment report was compiled by European delegation lead by President of European Council on International Relation, Professor Dr. Anton Caragea. Meeting the local and international press: Professor Dr. Anton Caragea presents the ASSESSMENT OF EARLY PRESIDENTIAL ELECTIONS IN KAZAKHSTAN ON 26 APRIL 2015. Between 22 to 29 April 2015 a European delegation had monitored the electoral process in Kazakhstan. The delegation headed by Professor Dr. Anton Caragea-President of European Council on International Relation was comprised amongst others by Chairman of Senate Committee on Romanians Abroad-Senator Marcel Dumitru Bujor, the academic director-Professor Mircea Constantinescu and a number of electoral supervisors. The elections benefited from an impressive presence to the poll of over 95% percent of the electorate and the winner was the incumbent president Nursultan Nazarbayev with more than 8 millions legally expressed votes. Every vote is counted! Every voice is heard! This is the essence of democracy! The conclusion of the Assessment Report was that Kazakhstan elections where fully in agreement with internal laws and international standards, being classified as an example of transparency, organization and massive electoral participation. The overwhelming vote in favor of incumbent president was a predictable one as a supporting vote for stability, continuity and economic and democratic development. The Republic of Kazakhstan can consider, on good reasons that his transition towards democracy was favorable concluded with 26 April 2015 election. Afterwards, the electoral monitoring body has outlined for the mass media some practical recommendations for future improvements in the electoral process and offered examples from their monitoring experiences, to be used as a template for declaring in the future Kazakhstan as a consolidated functional democracy. In the capital of Belgium the officials from European Council on International Relations warmely welcomed the news of the selection of the BEST EUROPEAN WINE IN 2015 from the Cotnari-House of Wines (Casa de Vinuri COTNARI). On this ocassion was welcomed also the nomination of the winners of the title for WINE MAKER of THE YEAR for 2014 and the public presentation of best European wines had succeeded in gathering in the same spot the wine connoisseur’s community of Europe and the entire world on the venue of the International Wine and Tourism Fair. BELGIUM - December 10th, 2014 - The unveiling of the title for WINEMAKER of THE YEAR for 2014 and the public presentation of best European wines had succeeded in gathering in the same spot the wine connoisseur’s community of Europe and the entire world on the venue of the International Wine Fair. Professor Dr. Anton Caragea, President of European Council on Tourism and Trade had eulogized the wines created by Mr. George Malutan as perfectly capturing the terroirs specificity of Moldavia and Romania and respecting the long lasting tradition of wine making of the areas. European wines did not say their final word on the world stage, concluded Professor Dr. Anton Caragea. 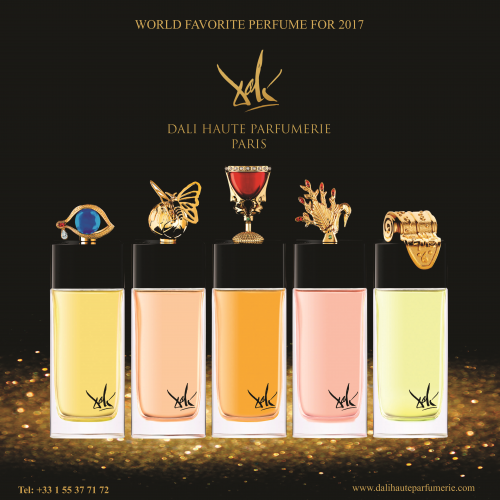 On 6 December 2014, on the ceremony to present the best European wines and on the venue for unveiling the DIPLOMATIC WINE for 2015, Mr. Victor Deleanu-Chairman of the COTNARI-House of Wines, received in a festive ambiance the title for WINEMAKER OF THE YEAR. 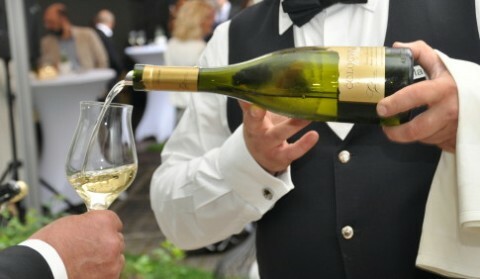 Professor Dr. Anton Caragea, President of European Council on Tourism and Trade had complimented the exertions of Chairman Victor Deleanu to promote the European and Romanian wines, wines of exceptional quality in the world and his decision to unleash the revolution of the Romanian wines assortments. In order to properly recognize this serious, constant and sustained line of achievements, it was normal that the WINE MAKER OF THE YEAR title to be awarded to oenological team from COTNARI-House of Wines lead by Chairman Victor Deleanu. In the thunderous applauses of the diplomats and official`s present at the venue, Professor Dr. Anton Caragea, President of European Council on Tourism and Trade had conferred the designation of WINE MAKER OF THE YEAR to the Chairman of COTNARI House of Wines, for his exertion in promoting wine culture and the specificity of European wines. On the occasion of WORLD BEST TOURIST DESTINATION IN 2014 elections, the Academic Board of European Council on Tourism and Trade has decided to co-opt as his newest honorary academic member- Mr. Walter Mzembi, Minister of Tourism and Hospitality Industry of Zimbabwe. Senator Ionel Agrigoroaei and Director of European Tourism Academy are giving a friendly and warm congratulation to Minister Walter Mzembi. In his welcoming speech in the European Academy, Professor Mircea Constantinescu has praised the first African leader accepted in the European Academy-Minister Walter Mzembi: Dr. Walter Mzembi is at the same time a great patriot. He loves his country, Zimbabwe, and the people of Zimbabwe. He put his enthusiasm, energy and knowledge in making a better life for the people and promoting the image of his country all over the world….. Dr. Walter Mzembi is a born communicator and diplomat. And this is not a pure laudation. The recognition of his merits in this area are confirmed by the appreciation of the Institute of Public Relations, by the African Travel Association, by the United Nations World Tourism Organization, by the Institute Of Cultural Diplomacy, and by many other national and international professional bodies. Professor Mircea Constantinescu has praised the first African leader accepted in the European Academy-Minister Walter Mzembi. Zimbabwe international status is growing rapidly. In 2013 the country hosted the UNWTO General Assembly with more than 120 countries attending the event that was proclaimed as the best ever in the history of the United Nations. After mending ties with the majority of countries in the world Zimbabwe got another impressive success with the nomination of the country as WORLD BEST TOURIST DESTINATION FOR 2014 by European Council on Tourism and Trade, an organization encompassing the interest of tourism industry from 28 european countries with a population surpassing 700 millions inhabitants. After this impressive moment that highlighted the approach between Europe and Zimbabwe as never before between 29 May 2014 and 6 June 2014 a top level delegation of high ranking officials lead by the President of European Council on Tourism and Trade visited for the first time the country signaling the complete restoration of bilateral relations. 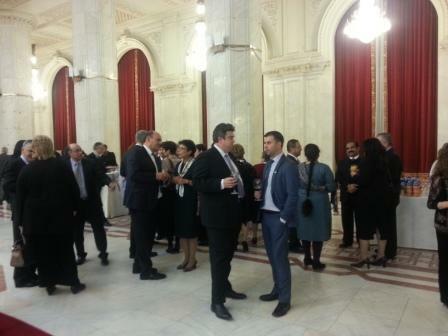 More than 200 representatives of major regional branches of European Council on Tourism and Trade, major tourism and trade firms and tourism specialized journalist`s had convened in Bucharest, in the landmark Palace of Parliament of Romania, the second largest building in the world and the first in Europe, a landmark of European tourism and architectural treasures. On the luxurious surrounding of Palace of Parliament, the body has decided upon the WORLD BEST TOURIST DESTINATION for 2014 with 27 countries on the list, from all the continents, regions and climate`s off the world. The winner of the competition has being declared the REPUBLIC OF ZIMBABWE- WORLD BEST TOURIST DESTINATION in 2014 announcement that triggered and explosion of joy amongst the African ambassadors as Zimbabwe is the first African country to get the top honor. President of European Council on Tourism and Trade declares ZIMBABWE as WORLD BEST TOURIST DESTINATION FOR 2014. – The preservation of cultural and natural sites of world significance and value such as: Great Zimbabwe National Monument (added to UNESCO list in 1986), Khami Ruins National Monument (added to UNESCO list in 1986), Matobo Hills (added to UNESCO list in 2003), Mana Pools National Park, Sapi and Chewore Safari Areas (added to UNESCO list in 1984), Mosi-oa-Tunya / Victoria Falls and UNESCO candidate regions as: Ziwa national monuments dating from Stone Age period with an incomparable contribution to world legacy. On the occasion of the 11 International Wine Fair-Good Wine, Bucharest had become the capital of wine makers and wine lovers in search of the best wines that Romania and the world can offer. The Best Romanain Wines where presented during International Wine Fair 2014 under the leadership of CASA PANCIU (HOUSE OF PANCIU). Good Wine April 2014 edition, had offered the opportunity for a delegation of wine experts and diplomats from Institute of International Relations and Economic Cooperation of Romania to taste and appreciate the Romanian wines on display and to carve up a top of Best Romanian Wines of 2014. Mr.Daniel Guzu-President of CASA PANCIU, Mrs. Ileana Tudor-CASA PANIU, Professor Dr. Anton Caragea-IRICE Director, H.E. Ambassador of Venezuela-Victor Ramon Carazo and CASA PANCIU sommelier. 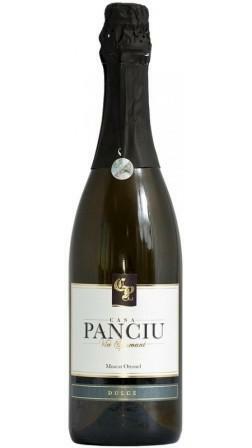 The clear winner was by far the HOUSE OF PANCIU (CASA PANCIU), who also selected in December 2013 as the maker of DIPLOMATIC WINE FOR 2014 and who reconfirmed his status in the wine tasting of 2014: the blended assembly of Feteasca Neagra (Black Girly) and Cabernet Sauvignon was once again appraised for his perfect bouquet of aromas of vanilla and berry fruits and for freshness and the round savory taste enriched with the necessary tannin so beneficial for human body, everything creating for the taster the perfect experience of Romanian wine. The star of the tasting session was the sparkling wine from Muscat Ottonel obtained by Asti method that eloquently proved his high quality by his perfect sugar concentration combined outstanding with fresh fruits aroma and with conquering and long-lasting savoir that filled with joy the heart of all the diplomats present on the venue. Concluding the wine tasting session at Good Wine April 2014, the diplomats, lead by Professor Dr. Anton Caragea, Director of Institute of International Relations and Economic Cooperation of Romania choose as their favorite wines the: Feteasca Neagra de la Casa Panciu (Black Girly) for the first place and Babeasca ( Old Lady) from Casa Panciu (second place). In the sparkling wines competition, the leader was the Brut from Panciu Vineyards (Traditional method) from CASA PANCIU, who was highly praised, or his exterior consistence and behavior in the glass, for his long-lasting taste, enduring and profusely aroma and the expressiveness that is unveiling step by step to the taster offering nice surprises at every zip. The diplomats involved in the tasting had encouraged the Romanian producers to increase the wine quality by producing more sweet and semi-sweet wines with increase sugar concentration, the only solution for a consistent export and presence of Romanian wines on international markets. The President of CASA PANCIU (HOUSE OF PANCIU)-Mr. Daniel Guzu saved for the last a special surprise, offering for tasting the latest product of Vrancea company: Rose Sparkling Wine 2013, who become and instant favorite of the public by aroma and freshness, who charmed the eye with his perfect color and become in glasses a glittering rose that offered instant joy to the tasting committee. The group of diplomats are congratulating CASA PANCIU as the creator of DIPLOMATIC WINE FOR 2014. Under the watchful eye of Casa Panciu sommelier and with benevolent care of President Daniel Guzu the diplomats had enjoyed the best wines Romania can offer: DIPLOMATIC WINE FOR 2014-the wine form CASA PANCIU (HOUSE OF PANCIU). In general, thanks to the HOUSE OF PANCIU-CASA PANCIU-the 11 International Wine Fair from April 2014 had level up to his promise to present the true wine treasures of Romania: Muscat Ottonel, Feteasca Neagra and Cabernet Sauvignon from Casa Panciu. Vinurile romanesti de calitate si-au dat intalnire la Good Wine Aprilie 2014 sub bagheta CASEI PANCIU. Dl.Daniel Guzu-Presedinte CASA PANCIU, D-na Ileana Tudor-CASA PANCIU, Prof.Dr. Anton Caragea-Director IRICE, E.S. 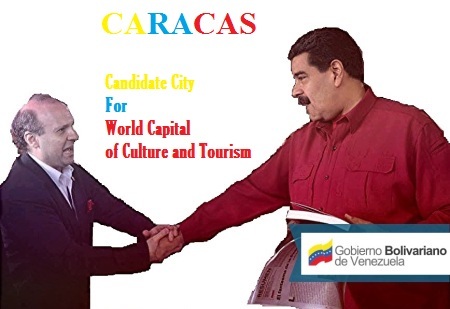 Ambasadorul Venezuelei in Romania-Ramon Carazo si somelierul CASA PANCIU(de la dreapta la stanga). Echipele de diplomati felicita CASA PANCIU: creatoarea CELUI MAI BUN VIN ROMANESC. Luand in considerare statisticile activitatii pentru 2013, in prim planul activitatii senatorilor din acest an sau inscris senatorii : Agrigoroaei Ionel si Constantinescu Florin. Senatorul Ionel Agrigoroaei, desi aflat la primul mandat de senator, a reusit rapid sa se impuna printr-o activitate febrila in plan parlamentar si al reprezentarii internationale. El a mai fost evidentiat pentru activitatea sa sustinuta in Parlamentul Romaniei, fiind declarat la finalul sesiunii parlamentare 2012/2013 cel mai bun parlamentar, pentru rolul sau in promovarea imaginii Romaniei si a Parlamentului ca factor determinat al activitatilor de politica externa ale tarii noastre. La randul sau, senatorul Ionel Agrigoroaei, cel mai activ senator al anului 2013, a punctat pentru rolul sau decisiv in deschiderea dialogului cu zona Peninsulei Indochina, in deschiderea Consilului de Afaceri Romania –Laos, in luna septembrie 2013 si in inaugurarea Expozitiei Internationale de Arta-EXOTIQUE. Aceasta manifestare a reunit la Bucuresti obiecte de arta si manifestari culturale din peste zece state din Extremul Orient, realizand o adevarata punte de cultura intre Romania si zona Asiei. Nici activitatea interna, in cadrul dezbaterilor parlamentare, a senatorilor nu a fost trecuta cu vederea iar senatorul Ionel Agrigoroaei a iesit in evidenta cu : peste 57 de intrebari, 3 declaratii politice, 7 initiative legislative, 27 de interpelari si 100 de luari de cuvant in plen, ajungandu-se la un remarcabil total de 194 de interventii, interpelari si luari de pozitie in cadrul lucrarilor Parlamentului Romaniei, ceea ce ii confera un loc fruntas si in cadrul activitatii interne a Senatului. Taken under consideration a large area of elements and statistics, on the fore of the senatorial activities during this year where inscribed senators Agrigoroaei Ionel and Constantinescu Florin. Both senators succeeded in scoring points by promoting Romania’s image in Far East, in the context of the fact that today the cooperation with Far East is the best economic opportunity for Romanian economy. The Romanian parliamentary session concluded as of 17 December 2013 opening the time for analyses regarding parliamentary activity during 2013 legislature. On this occasion the Institute of International Relations and Economic Cooperation published a paper on the parliamentary activity, focused on Romanian Senate works in this span of time. The main elements taken under consideration where: the efficiency of international representation of the country, the support offered to boost Romania’s image in the world, promotion of parliamentary diplomacy as an intricate part of Romania’s diplomacy, perfecting the role of Parliament in strengthening the diplomatic relations of the country, promoting economic, politic and cultural interests of our country and starting new dimensions in parliamentary and diplomatic cooperation with all the nations of the world. Taken under consideration all this elements, on the fore of the senatorial activities during this year where inscribed senators Agrigoroaei Ionel and Constantinescu Florin. In the framework of the visits from Peoples Republic of China and the economic forum under the aegis of Romanian Parliament, the two parliamentarians press to open an enlarged dialogue including Korean Peninsula in the framework of cooperation. Upholding this idea the two senators managed a powerful diplomatic and economic initiative by hosting a high level D.P.R. Korea delegation and sustaining an impressive dialogue destined to re-bond the connection with a valuable economic partner that was totalizing more than a billion dollars in bilateral exchange with Romania prior to 1989. Another success was the visit of the two senators in Republic of Moldavia, where by a vigorous dialogue in Chisinau they succeed to offer an impulse to the pro-democracy and pro-Western forces in the country, avoiding the risk of a Ukrainian scenario for the eastern-Prut state. As such the Romanian parliamentary visit proved instrumental in eluding a negative scenario for the region and European Union as a hall. The Senator Florin Constantinescu has imposed himself to the public also by Co-Chairing the Romania-Kazakhstan International conference in April 2013 under the banner of Romanian parliament. Other important actions where: hosting the Kazakhstan parliamentary delegation in April 2013 a move the open the door to re-confirm the strategic partnership with Kazakhstan and pave the way for the June 2013 visit of Prime Minister Victor Ponta to Kazakhstan. This visit was adorned with over 1 billion euro bilateral contracts that will transform Romania in the main connecting corridor between Central Asia and Europe. 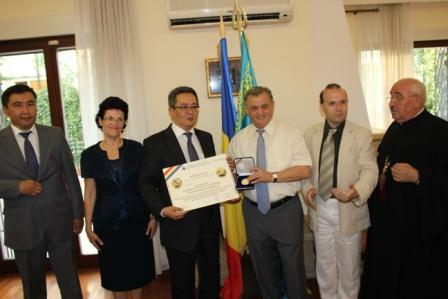 Senator Ionel Agrigoroaei, the most active senator in 2013, had score high for his decisive role in opening the Romanian dialogue with Indochina area, by opening Romania-Laos Business Council, in September 2013, by inaugurating International Art Exhibition-EXOTIQUE, a huge cultural manifestation that encompass cultural objects and art from 10 countries across the eastern area, creating a true cultural bridge between Romania and Asia. Senator Ionel Agrigoroaei was also involved in the works of Romania-Kazakhstan International Conference from April 2013 and taken the initiative to create parliamentary friendship and cooperation groups with United Arab Emirates and Lao PDR and also taken upon him a major role in inaugurating the Romanian Exhibition in support of Dubai candidature for World Expo 2020. Supplementary in the activities destined to promote Romanian image abroad made by Ionel Agrigoroaei we can highlight the visit in May 2013 in Lao PDR, participation to joint committee Romania-Kazakhstan and attending more than 47 diplomatic activities during this year etc. The two senators also scored impressive in the internal activity. Senator Florin Constantinescu managed to obtain 34 parliamentary speeches, 133 open questions, 8 legislative proposals and 22 governmental questioning. The same is valid for senator Ionel Agrigoroaei that scored 57 governmental questioning, 3 political statements, 7 law initiative’s, 27 parliamentary speeches and over 100 political declarations bring everything to a staggering total of more than 194 high profiles statements during parliamentary works, figures that are bestowing to him a major role in the internal activity of the Romanian Senate. We also like to remember that senator Ionel Agrigoroaei was commended for his parliamentary activity being declared at the end of 2012/2013 legislature as the best parliamentarian for his sustained activity in promoting Romania and Romanian parliament image as a crucial factor in the foreign policy of our country. Organizing such sustained activities Romanian Senate has proven that, in spite of negative press campaigns, the role of elected parliamentary institutions remains fundamental in the efforts to internationally represent Romanian national interests. 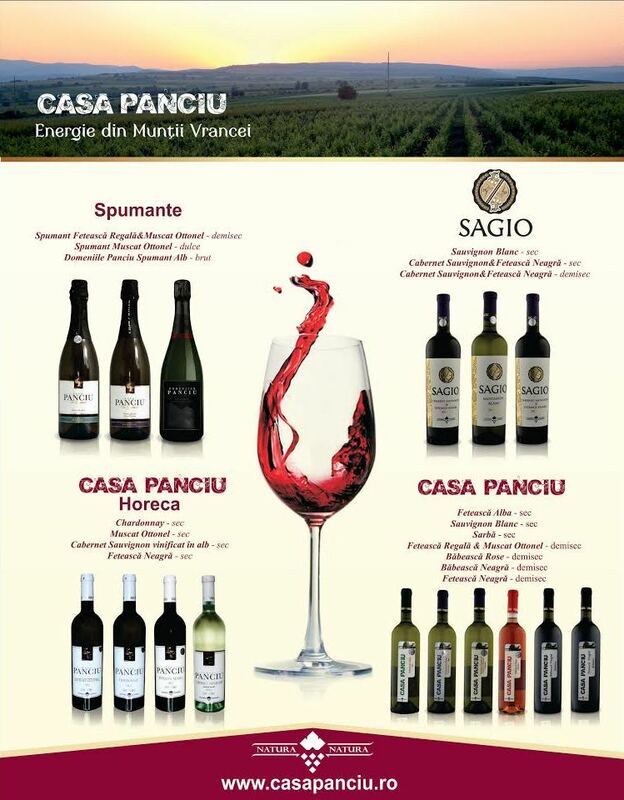 The wines from Casa Panciu-House of Panciu stirred the imagination of the diplomatic taster committee, encompassing diplomats from Asia, Africa and Europe-the main trading area for Romanian wines).